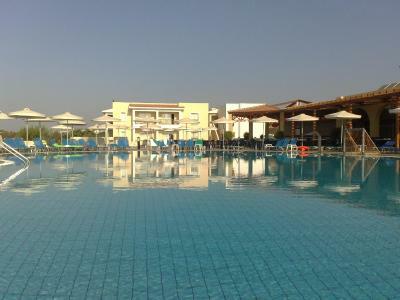 Lock in a great price for Aktea Beach Village – rated 8.3 by recent guests! 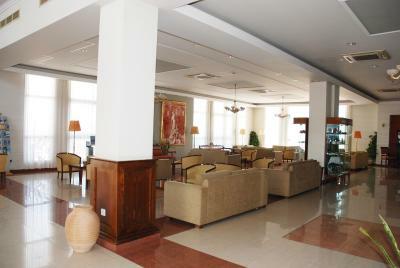 The hotel was quite clean and the staff was very helpful. The amenities were great. The price in November or October is really good. 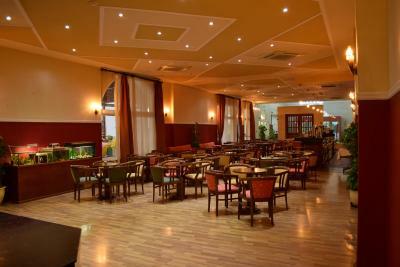 Staff is friendly and provided to us everything we asked. 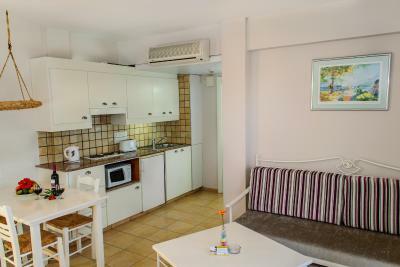 Studio is spacious with good beds and all equipment required for family stay. Guests german olders and families round the world everyone friendly no angry views to our noisy baby. Car park underground under hotel main building which helps on hot days. On the evening there was always program even in November. Indoor pool is great. Lot of local cats living in hotel's teritorry, always keen to pose for camera. 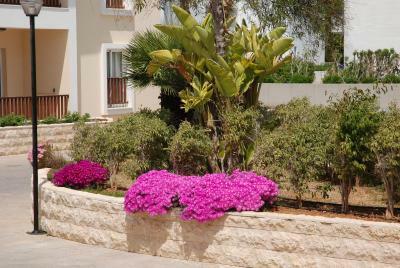 Close to Nissi Beach! 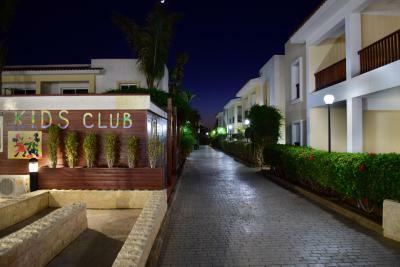 Lovely Friendly staff, location close to Nissi Beach, about 15min walking distance, nice, private and secluded but still close enough to all the happening places. Clean and quiet. Had some really great sleep at night. 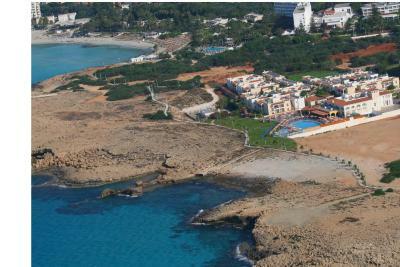 Great internet, gym and pool, little shop on site for all the things you might need. 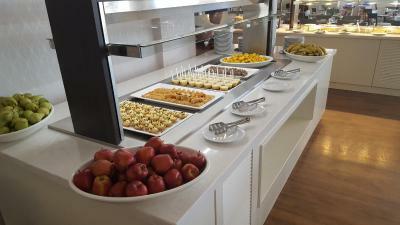 Yummy Large selection at breakfast, I really loved the fresh watermelon every morning, feta and Greek yoghurts, it was all delicious. 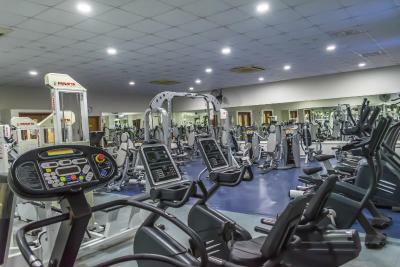 The gym doesn’t open till 7am so the really lovely man at reception was so kind and helpful he opened the gym earlier for us everyday so we could enjoy our early morning work out routine. 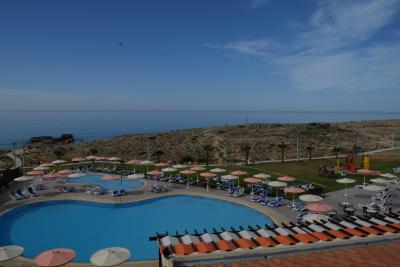 We were so grateful for this, thank you we had such a lovely stay! 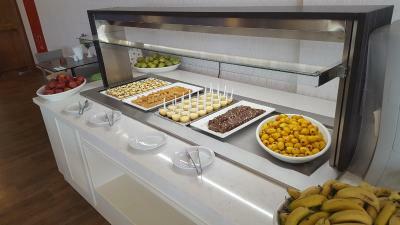 Breakfast, as goog as expected at a 4* destination. Not ecstatic about the machine coffee, but all else was great (quality and variety of breakfast). Manager and staff were excellent. Very polite. 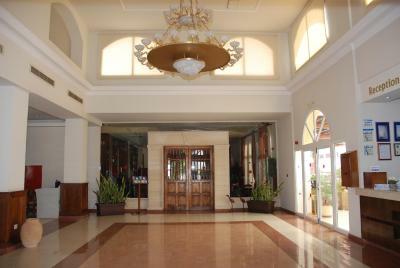 Facilities well maintained (indoor pool and gym etc). Location great. Our request for quiet room with view was satisfied. Very helpful staff who helped provide the disabled facilities we needed. 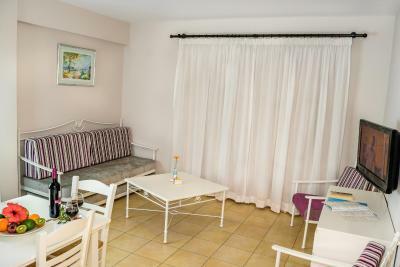 Location great, with nice swimming pool and short walk distance to Sandy and Nissi Beach, good breakfast and very good dinner. 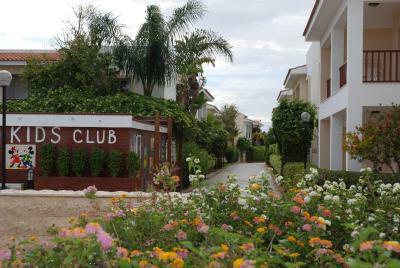 Aktea Beach Village This rating is a reflection of how the property compares to the industry standard when it comes to price, facilities and services available. It's based on a self-evaluation by the property. Use this rating to help choose your stay! 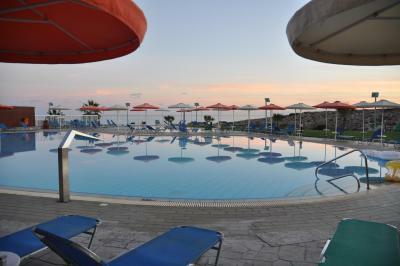 One of our best sellers in Ayia Napa! Located in Agia Napa, Aktea Beach Village is 650 feet away from Nissi Beach and Sandy Beach. 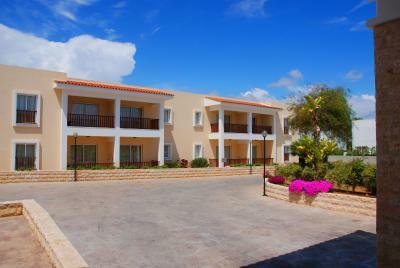 It offers a floodlit tennis court, a sea-facing pool with spacious sun terrace and elegant accommodations. 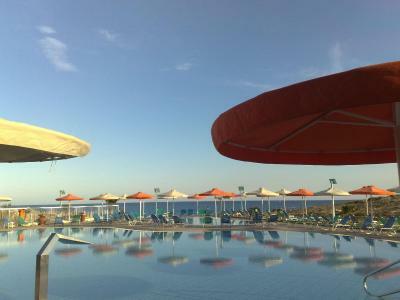 Aktea Beach features air-conditioned studios and apartments. 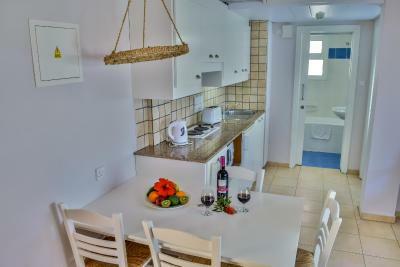 All units have a kitchenette with microwave and fridge, and a living area. A safe, satellite TV and hairdryer are provided. 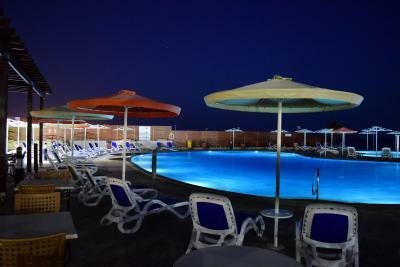 Guests can relax at the health club featuring an indoor pool, Turkish bath and hot tub. 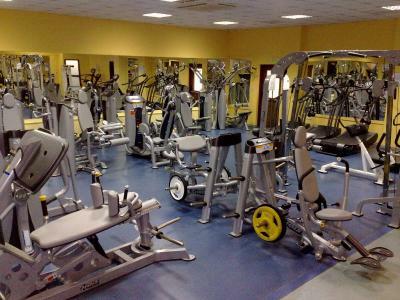 A fully equipped fitness center and sauna are also available and a kids' club operates for small children. 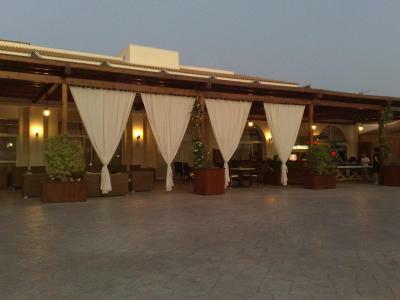 The open-air terrace is ideal for an evening drink from the bar. 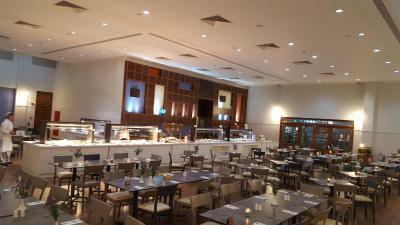 The hotel’s restaurant serves Greek and international cuisine. 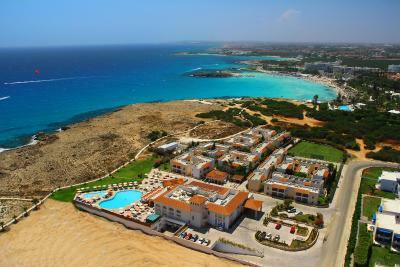 Within proximity, guests can reach the center of Agia Napa featuring many bars and restaurants. 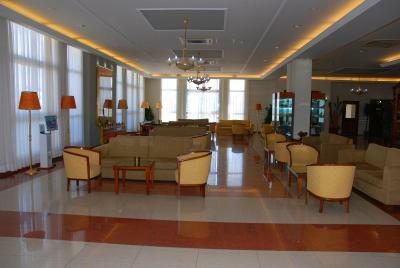 Wi-Fi access and on-site parking are available free of charge. 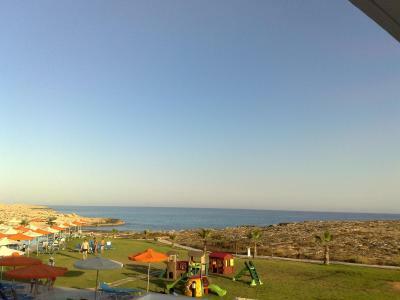 This is our guests' favorite part of Ayia Napa, according to independent reviews. 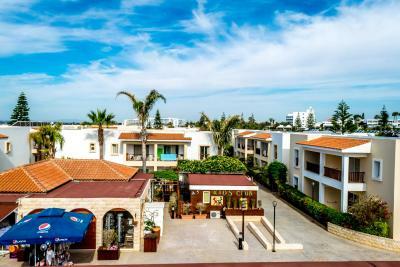 뀐 Located in the top-rated area in Ayia Napa, this property has an excellent location score of 8.9! 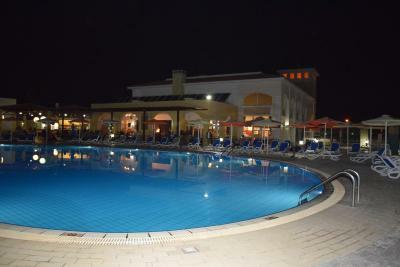 When would you like to stay at Aktea Beach Village? 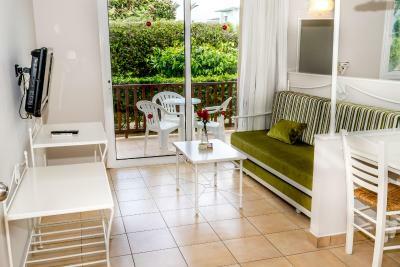 Bright and sunny open-plan studio with private kitchenette and balcony or terrace. Free WiFi is available. This apartment has a balcony, electric kettle and oven. This apartment has a balcony, flat-screen TV and stovetop. 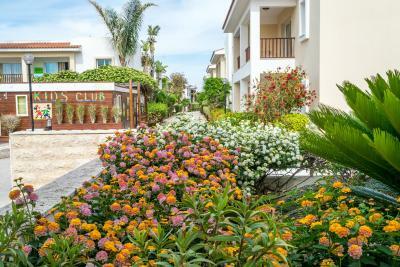 House Rules Aktea Beach Village takes special requests – add in the next step! 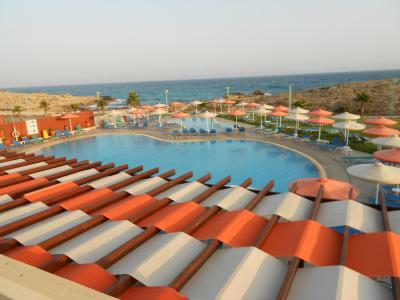 Aktea Beach Village accepts these cards and reserves the right to temporarily hold an amount prior to arrival. 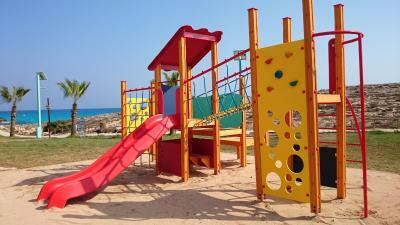 Please note that the kids' club is for children from 4 to 12 and operates from April to October. 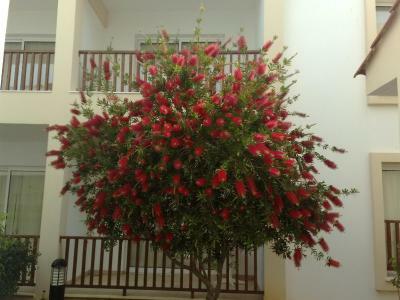 We liked the off season, it might be more noisy during season in the pool area our apartment was facing. Otherwise all was good. 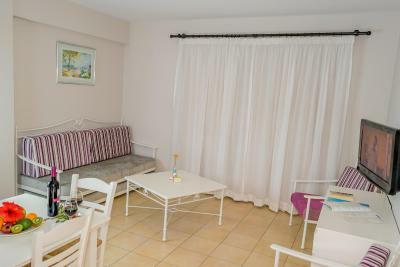 Nice location within walking over cliff to the beautiful Nissi Beach, free parking, incl very good buffet breakfast, we had an apartment with sea view, over the pool area. The complex is build like a village with bungalows, in my view nicer than the now typical high rise hotels around it. The indoor pool was cold, they also charge for the use of sauna and steam room and you have to book time slots - Not great for a four star hotel. 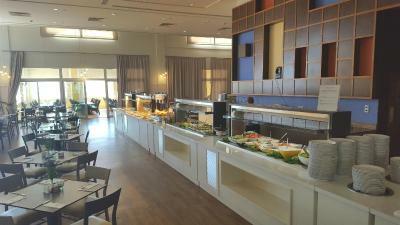 Breakfast wasn't brilliant but it was ok, avoid the lunch menu if you are B&B board. Ants in the room. Breakfast staff were in a hurry to clean up at 10:00 am sharp making guests feel unwelcome for still being there. Ants everywhere, we even found them in our bread in fridge !!! Very poorly equipped kitchen, dishes were dirty. 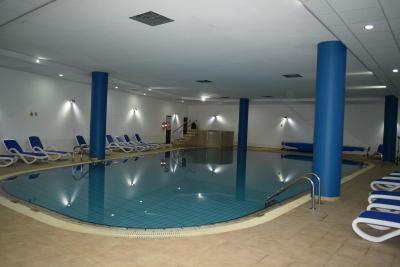 Indoor heated pool and jacuzzi very cold. Sauna warm, but should be hot. Beds uncomfortable, blankets are just sheets. 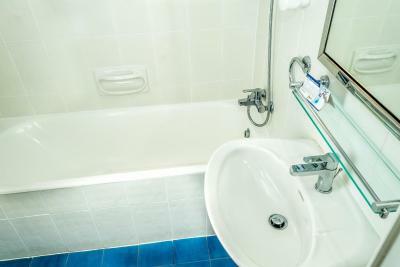 Bathrooms cry out for renovation. 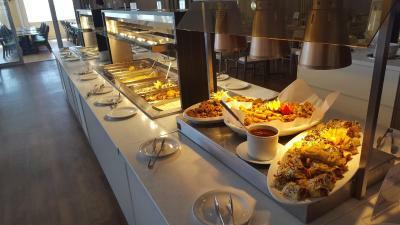 Hot water was not really hot and some dishes offered during breakfast was too salty. 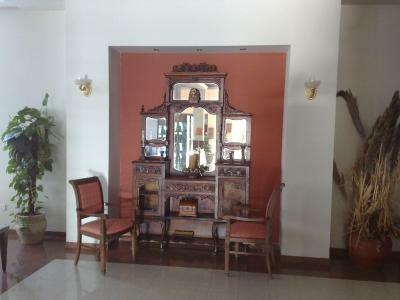 Furniture should have been of better quality. Double bed was ok but not so comfortable to sleep. Quite too far from centre. No garden. Low noise isolation between rooms. Not very clean rooms for little babies crawling around. Room was full of ants (everywhere), the bathroom really needs some improvements, all towels were in a very bad condition (almost grey instead of white). 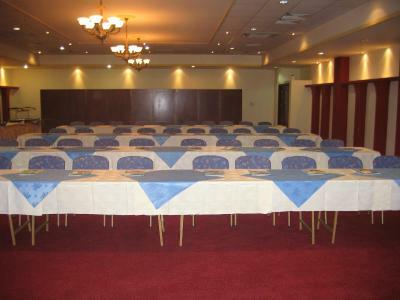 Location, food, incl foos for children, room!